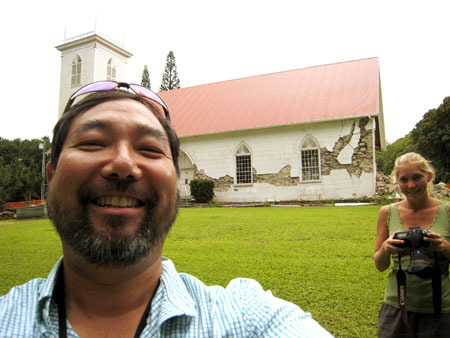 Me and Gigi on assignment in North Kohala. Kalahikiola is still is quite a damaged state behind us from the October 15th earthquake though it is shored up now by bracing inside. Next PostNext What’s your sign?